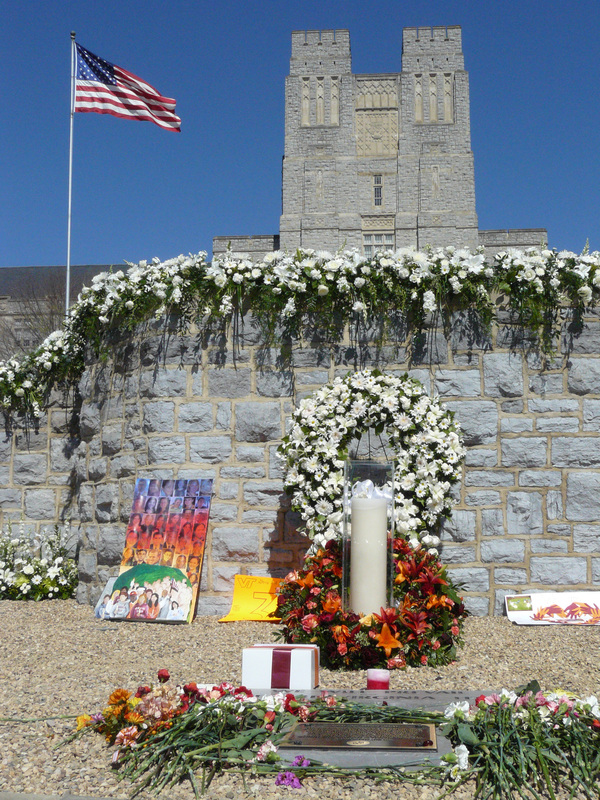 View of the April 16 memorial with Burruss Hall in the background. Photo taken April 17, 2008. 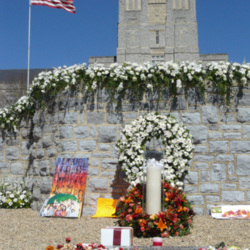 You are contributing your stories and/or files to The April 16 Archive, which is developing a permanent digital record of the events surrounding the tragedy on the Virginia Tech campus on April 16, 2007. Your participation in this project will allow future researchers, and people such as yourself, to gain a greater understanding of these events and the responses to them. You must be 13 years of age or older to submit material to us. Your submission of material constitutes your permission for, and consent to, its dissemination and use in connection with The April 16 Archive in all media in perpetuity. If you have so indicated on the form, your material will be published on The April 16 Archive web site (with or without your name, depending on what you have indicated). Otherwise, your submitted materials will only be available to approved researchers using The April 16 Archive. The material you submit must have been created by you, wholly original, and shall not be copied from or based, in whole or in part, upon any other photographic, literary, or other material, except to the extent that such material is in the public domain. Further, submitted material must not violate any confidentiality, privacy, security or other laws. By submitting material to The April 16 Archive you release, discharge, and agree to hold harmless The April 16 Archive and persons acting under its permission or authority, including a public library or archive to which the collection might be donated for purposes of long-term preservation, from any claims or liability arising out the The April 16 Archive's use of the material, including, without limitation, claims for violation of privacy, defamation, or misrepresentation. The April 16 Archive has no obligation to use your material. You will be sent via email a confirmation of your contribution to The April 16 Archive. We cannot return any material you submit to us so be sure to keep a copy. The April 16 Archive will not share your email address or any other information with commercial vendors. Brent Jesiek, “Memorial After Rememberance,” The April 16 Archive, accessed April 26, 2019, http://www.april16archive.org/items/show/2643.